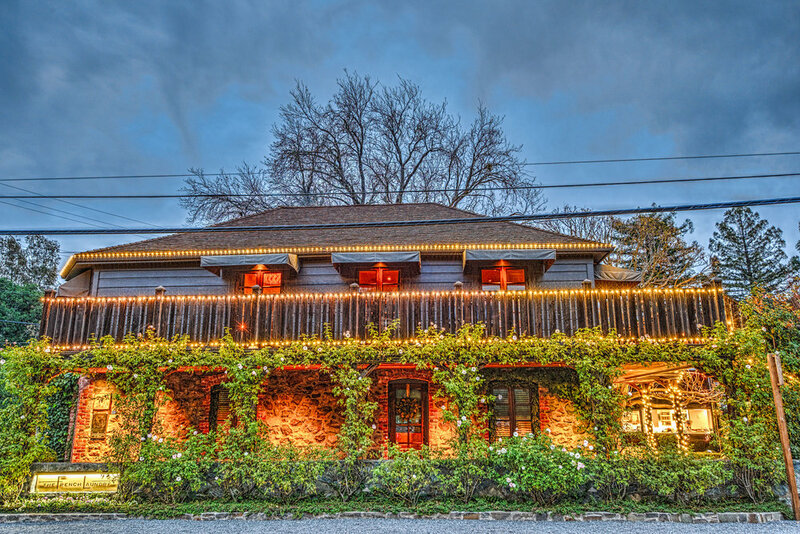 We were in Napa valley this weekend, and we were privileged to find a reservation at “The French Laundry” (TFL). If you haven’t heard of this restaurant, it’s a three Michelin star restaurant run by chef Thomas Keller. Starting with the host, the whole dinner experience was world class. We weren’t surprised why this restaurant was voted the best restaurant in the world in 2003, and 2004. The taste of each course was very unique and our taste buds lit up, upon serving. We got a chance to visit the kitchen later that evening and it was incredible. The kitchen was very well organized and everyone working there were on the same page. This place is a true symbol of perfection, kudos to Chef Keller. If you’re planning a trip to Napa valley, you definitely need to make a reservation at TFL. The city of Barcelona is truly Gaudi’s Barcelona. Antonio Gaudi left his mark everywhere on this beautiful city. One of his masterpieces among many is Casa Batlló. This place was renovated by Gaudi in 1904 and the architecture was based on human bones, hence the local name Casa dels ossos (House of Bones). We did an augmented reality tour of the building and it was an incredible experience. Wishing everyone Happy thanksgiving! The US Open is the biggest festival of tennis that happens in the US. We were lucky enough to get a chance to watch the round of 16 games this labor day. Located in Flushing, New York, the Arthur Ashe stadium boasts some of the best state of the art tennis facilities in the country. The luxury suites offer a perfect spot to watch the game, considering the crazy hot and humid conditions in New York. The suite offers air-conditioning as well as food and drinks, along with a great vantage point to watch the game. The round of 16 game between Nadal and Basilashvili was very entertaining. Basilashvili, although an underdog, provided great competition. In the end, the greatness of Nadal prevailed and he took the game in 4 sets. I packed my zoom lens and put it to action without fail. Nadal's game play was solid, he was defensively strong, his forehand and backhand are very strong as well. Basilashvili had a never say die attitude and came back to take the third set, after Nadal winning the first two sets comfortably. Nadal was frustrated when he lost the third set as the heat was taking a toll on him. He wanted to close out the game in three sets and rest for the next round. Both guys took a ten minute shower break after the third set and came back fresh to compete in the fourth. After the game, we stepped out of the Arthur Ashe stadium, to grab lunch. There were plenty of good food options available. On our way back to the next game, we spotted Nadal being interviewed by television. The next game at the Arthur Ashe was pretty exciting too. It was the women's round of 16 game which took place between Serena Williams and Kanepi (the lady who defeated number 1 seed Simona in the first round). It was a thrilling game that Serena won in three sets. Overall, watching the US Open live was an incredible experience. If you're a tennis fan, I highly recommend checking out the US Open if you get an opportunity. Located near the landmark and arched Rialto Bridge, this busy daily market stands in the commercial center of the city alongside the city’s famed Grand Canal. Venetian locals and international tourists alike frequent this centuries-old market for groceries, souvenirs, luxury goods. When you're in Venice, be sure to check this out. Located close to the city of Florence, Pisa is a must visit if you have a day to spare. It's a small city that hosts the miracle of architectures. The tower's tilt started in 12th century. It was stabilized later in the 20th century. A visit to the floating city is incomplete without the gondola ride and serenade. We cruised across the small waterways into the Grand canal where we saw Peggy Guggenheim collection museum on the side. The highlight of the ride was one of the classic Italian romantic melody played by the musician at the back of the ride. We were thankful the weather permitted us to do the ride as per schedule! For many people all over the world, a visit to the Louvre is a major bucket list item during a trip to Paris. The most-visited museum in the world is also one of the largest—the total length of the facade measures nearly two miles—and one of the richest in artistic treasures (the Louvre exhibits 38,000 works and has an additional 422,000 in storage). Louis XIV was the last king to use the Louvre as a royal residence—he moved his court to Versailles in 1682. In 1793, during the French Revolution, the Musée Central des Arts opened to the public in the Grande Galerie. Napoleon Bonaparte and Napoleon III both added to the Louvre, enhancing their own prestige. It wasn’t until 1993, however, that the whole building was used as a museum for the first time. The Mona Lisa may be the Louvre’s most famous painting, but many people don’t realize that the museum’s largest painting is actually in the same room. The Wedding Feast at Cana by Venetian Renaissance master Veronese is sometimes mistaken for the Last Supper, but actually depicts Christ’s first miracle of transforming water to wine. Don't forget to checkout my video compilation of Paris below. When in Paris, make sure you check out Opera Garnier (a.k.a Palais Garnier), named after it's architect Charles Garnier. The sense of grandiose you get once you enter the theater is incredible. I must commend how well this 1875 theater is maintained till date. The 2400 sqft ceiling painted on fresco by Chagall in 1964 must not be missed. I was in Paris last month and witnessed a scintillating sunset. People always asked me why I was visiting Paris in winter? I think people should ask themselves why not visit Paris in winter? It's just beautiful no matter what time of the year you visit. It exhibits different personality in February than it does in August. I was freezing up on the Tour Montparnasse to get this shot, but it was well worth it. I must thank my wife for pushing me and sticking around with me in freezing temperature to get this shot. This week, I got a chance to return to one of my favorite cities of Northwest. Located in British Columbia province of Canada, Vancouver is one of the top cities of the world that offers little bit of everything. If you ask for nature, it offers you the snow capped peaks of Mount Baker. If you ask, for night life, it charms you with its downtown. Here's one of my favorite pictures from the trip. I got a chance to visit one of the top ski resorts near Tahoe for Christmas, Northstar. It's an incredible place to visit in winter, specially if you're into skiing/snowboarding. Wishing you a Merry Christmas & a Happy New Year! A trip to Denali National Park is incomplete without taking the shuttle to Kantishna. I got to see wildlife up close on this ride, and I could never forget my first encounter with a grizzly bear. It was incredible. The bus driver stopped all of a sudden and made a gesture to take a peek towards the left. I rolled down my window and put my zoom lens to good use. After few minutes, the grizzly approached the bus and heard the sound of my shutter and started walking towards my side of the bus. I had to roll down my window and get back to being silent. Did you spot any grizzly bears before? If yes, let me know when and where in the comments below? Driving north from Anchorage to Denali, I stumbled across a small town called Talkeetna. We stayed the night there, to get some amazing pizza and beer and had a great time. But the highlight of my Alaska trip was definetly flying the Talkeetna Air Taxi. Here's a click through my window using my wide angle lens. Hope you like it! I took the long road to Kantishna at Denali Natinonal Park - The Kantishna Experience tour which included a 12 hour bus trip to Kantishna, but it was well worth it. The bus driver is your tour guide and I happened to see some extremely passionate guys of nature who drive these busses. My tour guide was very knowledgable and he got us to some good vantage points. I happened to spot a caribou crossing the road and put my lens to work. Hope you like it! The Alaskan range is best viewed from an aircraft, but it's a challenge scheduling an air taxi around here as the weather varies pretty rapidly. On this particular morning, the weather gods were kind on me and I was able to take off for an incredible experience. I got to see lots of glaciers and gigantic mountains up close. Sharing a couple of snaps from my air taxi. Hope you like it! Summer time is the best time of the year to view Milky way in the Northern hemisphere. However it's impossible to spot the Galactic core (towards the right in the picture) after August. With days running out and last weekend being a new moon weekend, I decided to go on a chase for the elusive Milky way. I drove couple of hours up north to Mount Tam and was able to get a decent shot. Towards the left you can see the light pollution coming from San Francisco bay. For best results, you definitely need to be away from the city to avoid light pollution. Hope you like it! The Matanushka glacier is surrounded by two mountain ranges, the Talkeetna mountain range to the north and the Chugach mountain range to the south. After exploring the Chugach mountain range during the early parts of my trip, I decided to drive towards the Talkeetna mountains. While driving on the Glenn highway, I found signs on the road that guided me to Hatcher pass. It's kind of a detour but I'm glad I took it. I managed to arrive at a spot where I could experience the force of Little Susitna river up close. Hope you like it!